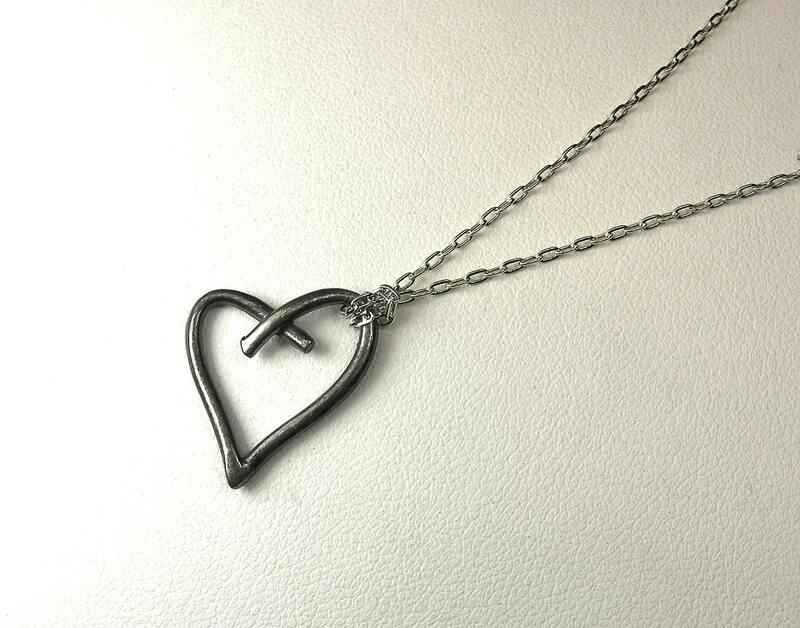 Oxidized sterling silver crossed heart charm is hung on 16" sterling silver chain. 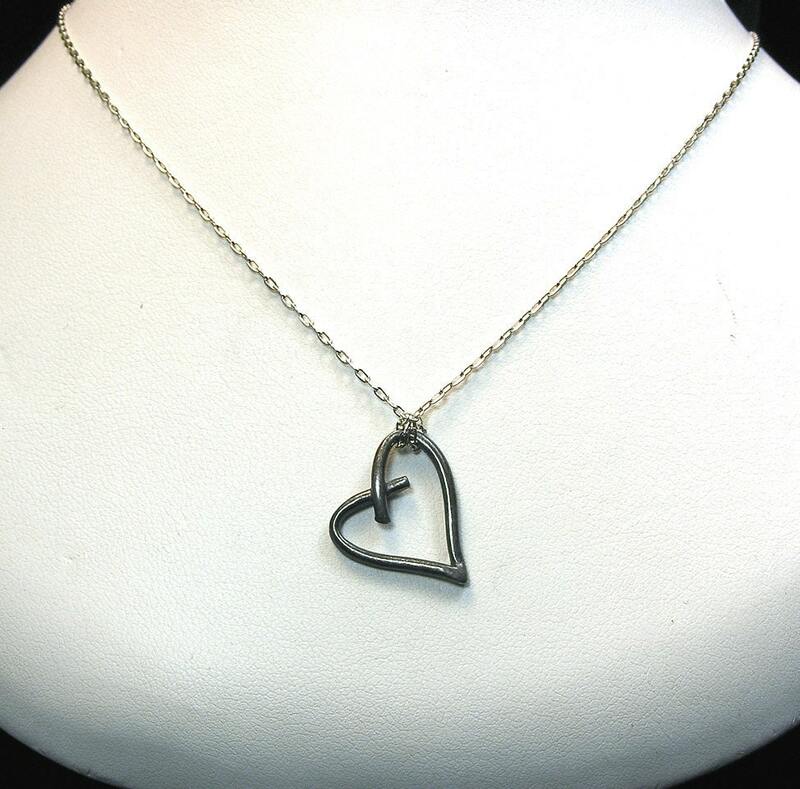 Heart measures approx. 5/8" x 3/4".